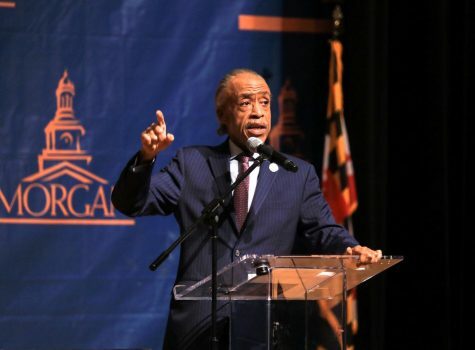 As 724 other prospective Morgan State University graduates received their diplomas during May 19’s commencement ceremonies, Kendall Joyner sat away from the service, barred by the school and a Baltimore City Circuit judge from participating. Despite being notified that he qualified to graduate, Joyner, last year’s “Mr. Morgan,” was suspended by the school for two years for allegedly punching another graduate in April in an off-campus, out-of-state incident. 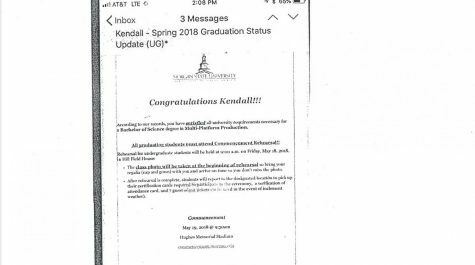 A copy of notification that Kendall Joyner had met all requirements for graduation. 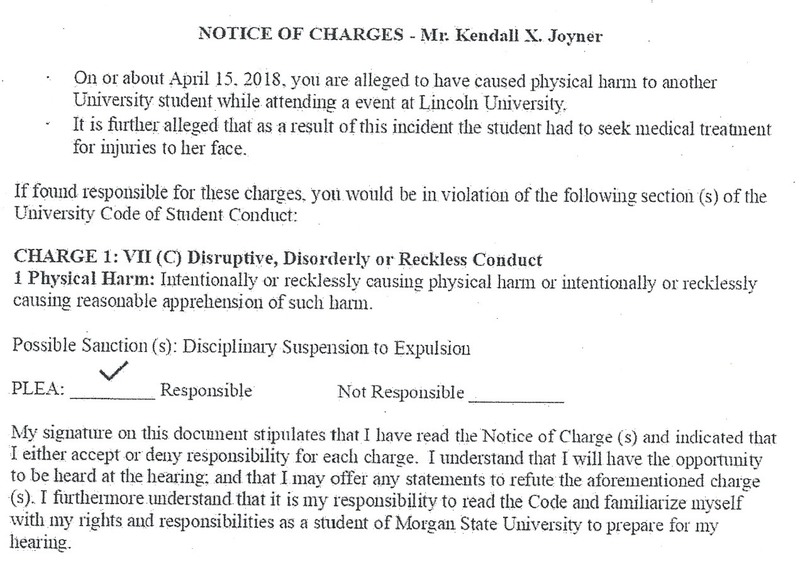 Joyner’s suspension came after a student judicial board found he had violated terms in Morgan’s Code of Student Conduct. Joyner’s unsuccessful attempt to block the university from keeping him from graduating provides a window into Morgan’s judicial proceedings, a procedure that is usually hidden by student privacy laws and may not be well known to students more interested in settling into dorms or finding their classrooms. Yet, as Joyner discovered, not following the code could keep a student from fulfilling a cherished dream: graduating from the place they spent four years at with people who shared that dream. 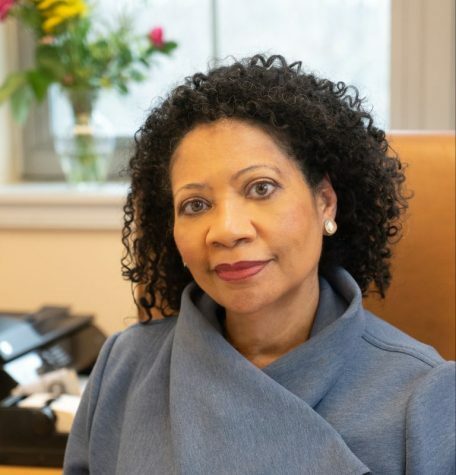 “Students should be familiar with what is in their student handbook to avoid judicial matters on campus,” said Sheliah D. Vance, an attorney with the NCHERM Group, a Pennsylvania-based law and consulting practice serving the education field. 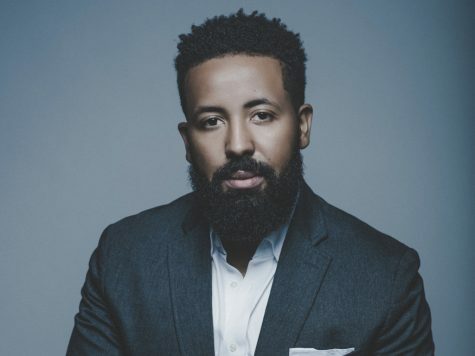 Reached last week by a Spokesman writer, Joyner, who was a Multi-Platform Production department major in the School of Global Journalism and Communication, said he has withdrawn from Morgan and transferred to Howard University. He declined further comment. According to a Morgan police report that is attached in the court file, a Morgan student told campus police that she had been “physically assaulted” by Joyner while the two of them were attending a party at Lincoln University. Lincoln, which was founded in 1854 as the nation’s first degree-granting HBCU, is located in Lower Oxford Township, Pa., approximately 60 miles northeast of Morgan. According to the police report, the alleged victim, who is not named in the court filing and, thus, is not being named by The MSU Spokesman, said she was involved in an argument with Joyner, who attended the party with him. In the report, the alleged victim told police that Joyner was “a classmate/friend,” who struck her “with a closed fist multiple times,” while they were in a vehicle. As a result, the report said, the alleged victim “sustained visible signs of injury to her right eye.” Photos of the alleged victim after the incident are available in the court file and were posted on her Instagram page on social media. In their report, Morgan police indicate that they told the alleged victim that formal charges had to be filed in Pennsylvania. Morgan police said she told them that she contacted authorities in Pennsylvania, but neither a report nor charges were filed there. Joyner has consistently acknowledged that he was a part of the April 14 incident in Pennsylvania. 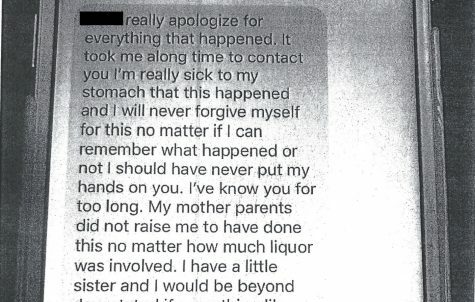 Given the choice of pleading responsible or not responsible, Joyner pleaded “responsible” April 27. 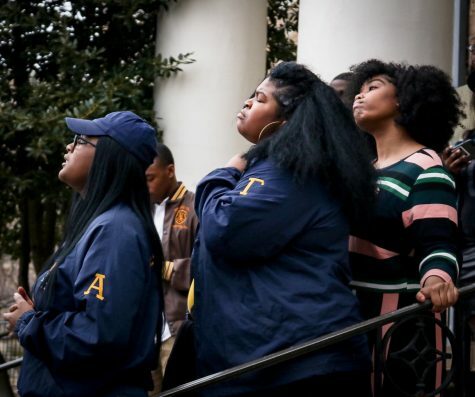 It’s unclear whether Joyner, who was a member of a number of student-service organizations, read the Code of Student Conduct. “As a practice I inform students about their accountability with the code of conduct. It’s an online document,” said Banks, who said he could not comment on the specifics of Joyner’s case. Banks explained that students who live in residence halls are informed about the code through the programs they hold during freshman week. The Code of Student Conduct is 14 pages long, and covers what officials believe students should know about their conduct while at Morgan. 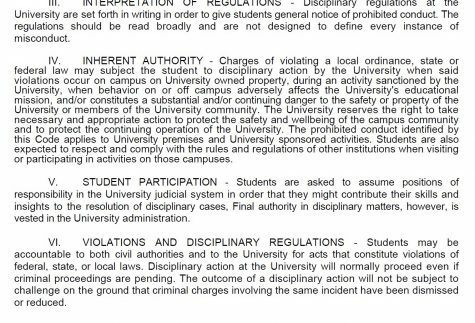 “Whether off or on campus the student code of conduct is always in place if you’re a student at the university, and you will be held to it. This is all online. [It’s] outlined in the code of conduct,” said Banks. The student judicial process, which is outlined in the Code of Student Contact, details the process by which a student must go through if a case is brought. 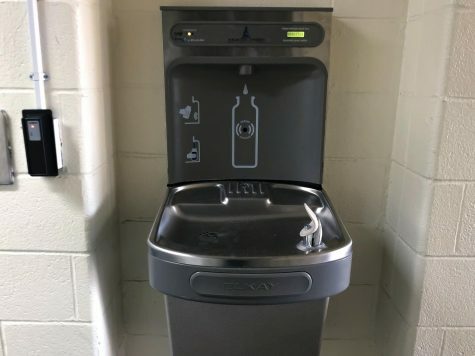 Students are notified by the Office of Student Rights and Responsibilities if they are charged violating the student code. A disciplinary hearing date is scheduled, and the student is required to attend the hearing. After both sides are heard, the information is reviewed based on the code of conduct. The student has a chance to bring witnesses on their behalf, and present them to a hearing board. According to court documents, the university held a disciplinary hearing on May 3, with four unnamed Morgan students serving as a jury and an investigator from the school’s Office of Student Rights and Responsibilities presenting evidence. The student can bring an attorney to the hearing, “but, the attorney can only advise the student –– they can’t cross examine like a court of law,” said Banks. It’s not clear from the court filing whether Joyner had an attorney present. Sanctions are based upon the severity of the situation. If the student is on a particular sanction or if the student is on probation, a repeat violation could increase the severity of the sentence. It’s unclear whether Joyner had had any other appearances before the judicial board. He had apparently served as “Mr. Morgan” with distinction. Nonetheless, the student judicial board gave Joyner a two-year suspension with additional conditions that he undergo anger management courses and seek counseling to help him deal with alcohol. “Many cases like this almost always involve alcohol in some way,” said Vance, the educational consultant and attorney. The student is then informed of the sanction, and informed whether it is an appealable offense. Banks said students who are given probations or warnings are typically barred from appealing their punishments. Any sentence that involves a suspension or expulsion can be appealed. Those appeals are heard by Banks, who dealt with Joyner’s appeal, which was filed May 6.. In his appeal letter, which appears in the court file, Joyner again apologized and said the incident was “not a true reflection of my character,” he asked for a reconsideration of the sentence, claiming a procedural error and that the sanctions were not appropriate to the offense. Banks denied Joyner’s appeal eight days later, the Monday of graduation week. In his letter to Joyner, Banks wrote that Joyner did not prove an error and that the sentence was appropriate for the violation. “Your behavior violated the basic tenets of respect for yourself and other students and definitely did not reflect your role as ‘Mr. Morgan,’” Banks wrote. Joyner filed an application later that week with the city’s Circuit Court, which has jurisdiction over Morgan, claiming he would be irreparably harmed if he could not graduate on May 19. However, Circuit Court Judge Michael A. DiPietro denied the motion without comment.